The performance BOND (2015) was a collaboration with scenographer Maartje Prins. By the physical restriction of specific costume, BOND started up as a research around conjoint twins. Together with Francesca Lazzeri the project was an attempt of experiencing an inexplicable physical sensation between two bodies, of being syblings sharing their existence in one body or as close as nobody could ever get in between. 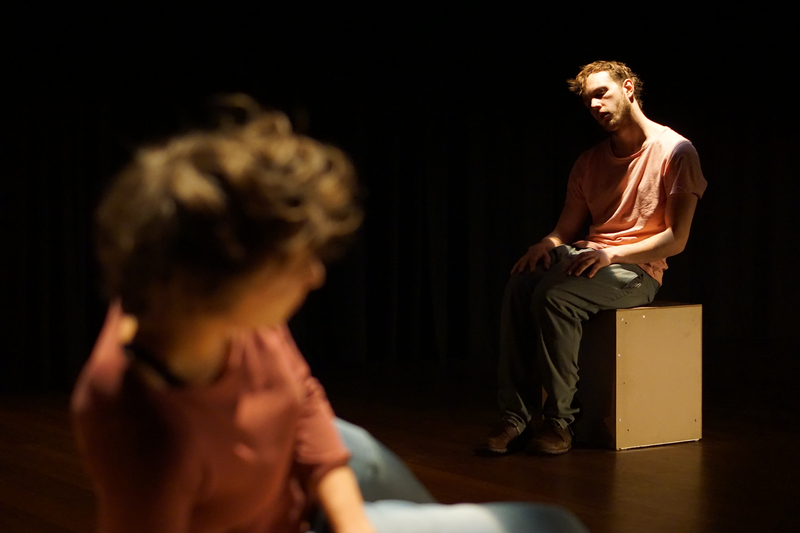 The research-project was presented in the frame of 24hs Theaterschool, Amsterdam and advised by Danielle van Vree.